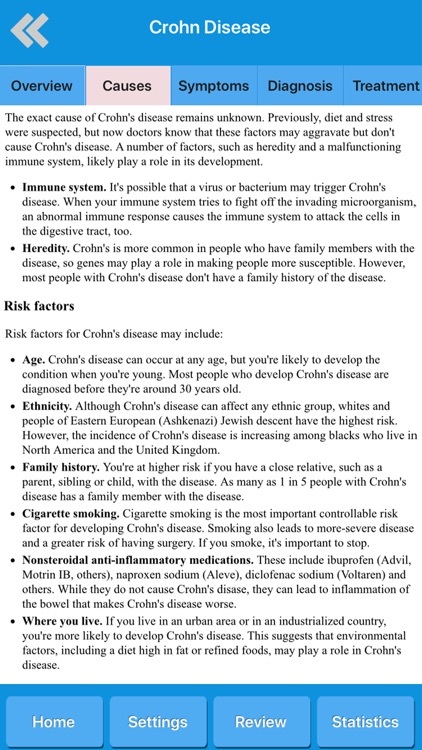 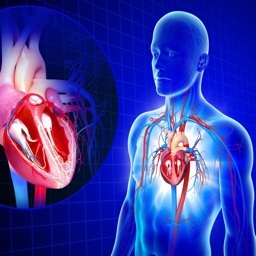 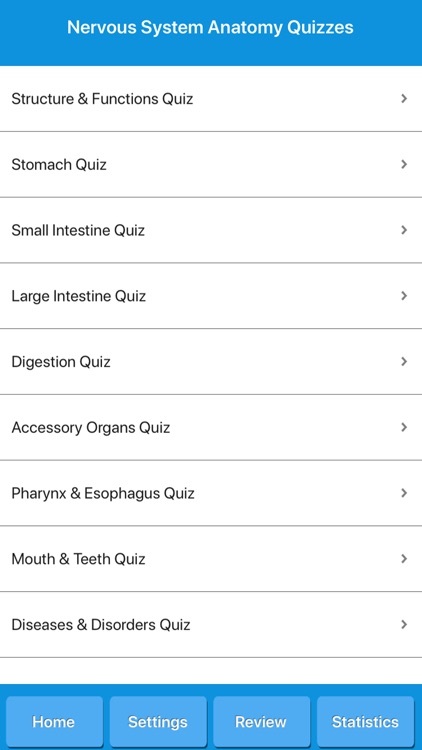 Get digestive anatomy, common diseases, digestive parts diagrams and quizzes. 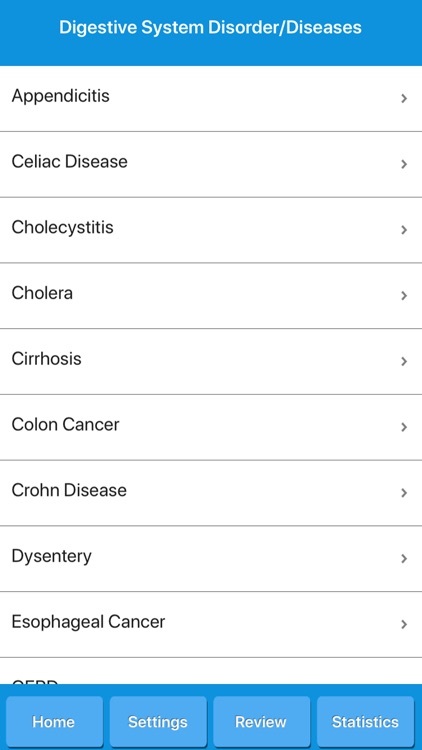 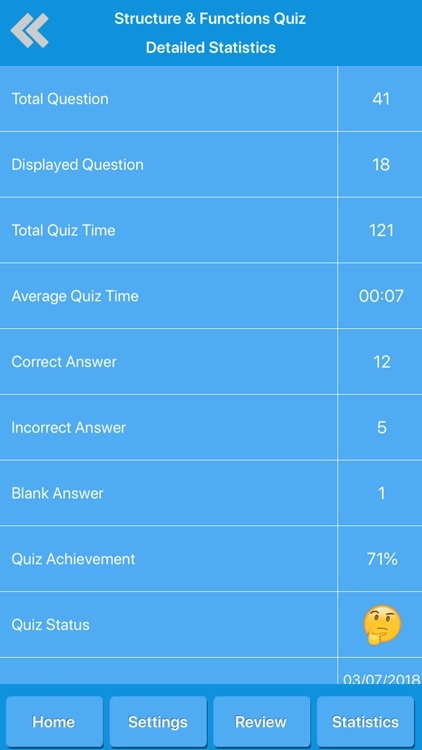 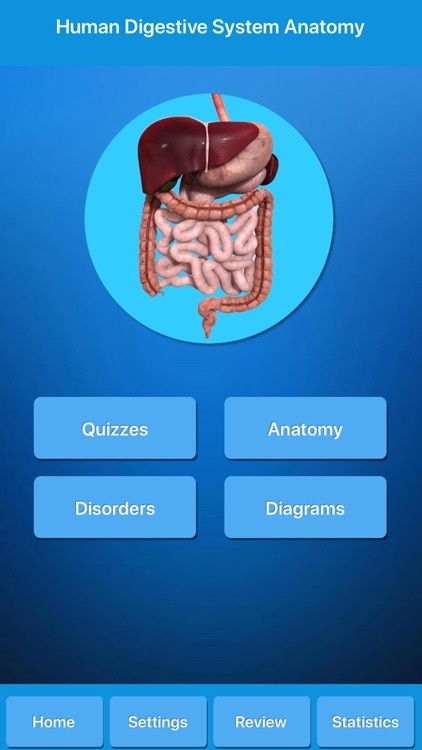 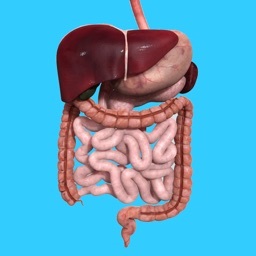 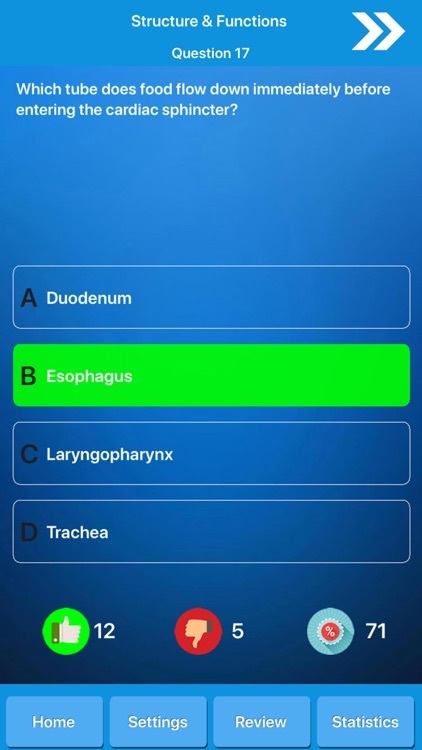 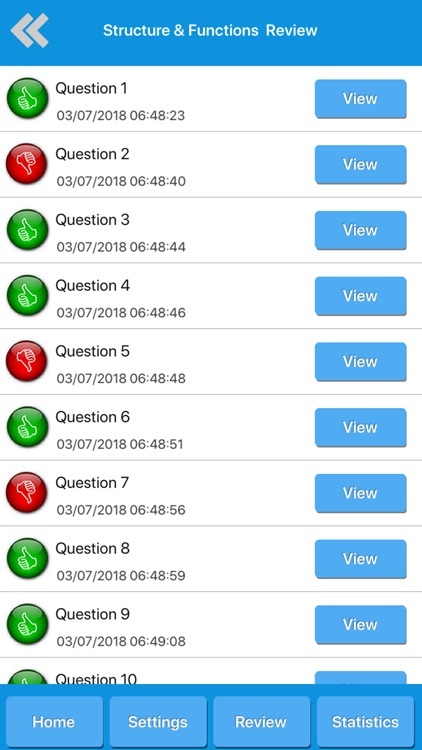 This app is suitable for students and for everybody willing to learn more knowledge about human digestive system, or even for medical professionals, nurses and teachers. 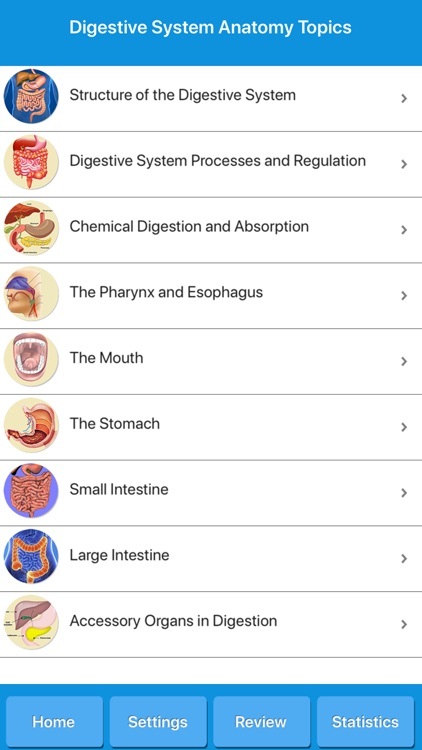 - Interactive digestive system part diagrams. 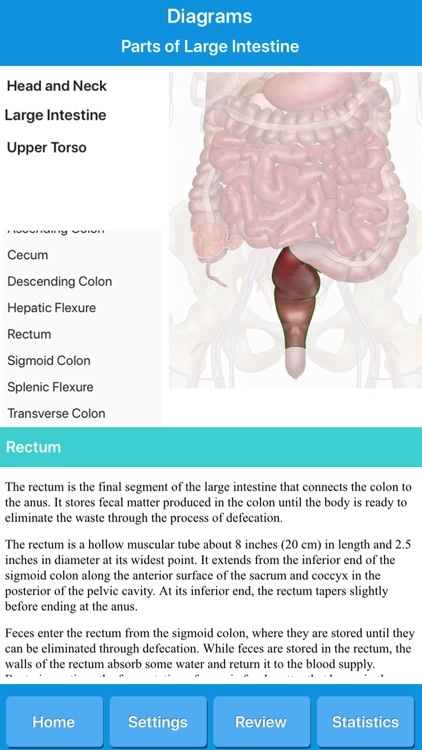 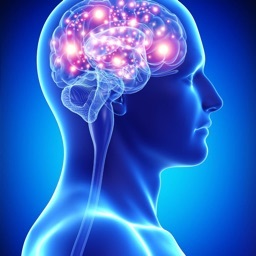 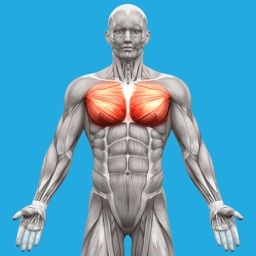 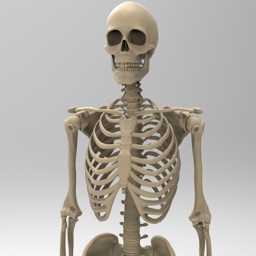 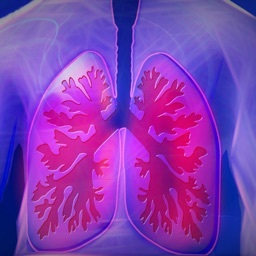 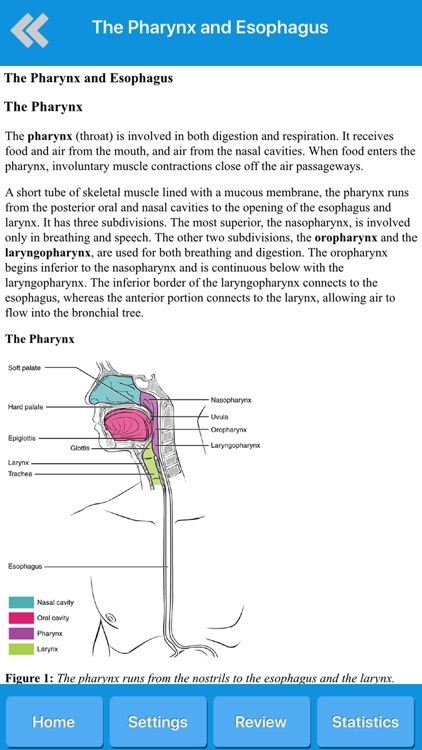 - Head-Neck, Upper Torso and Large Intestine diagrams with selected bone information.